When I was in sixth grade, everyone in the class had to bring in some sort of dish from various countries in the world. I have no idea how I scored France, though I suspect there was some begging involved. As a former French teacher, my mom had an arsenal of French recipes, and this was the one we chose. When I brought the mousse into school that day, I felt very worldly, and very grown-up. 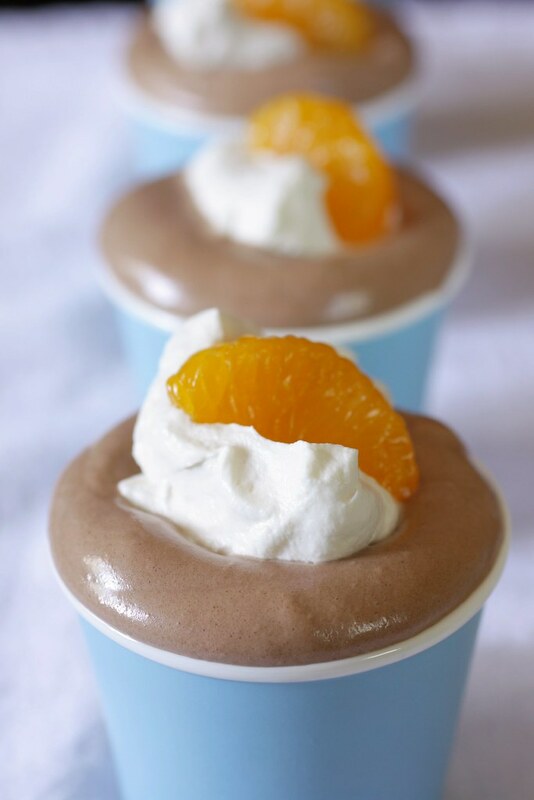 I still love to make this mousse for special occasions, or anytime I want something that sounds a little fancy. This recipe is a slight variation from my mom’s. What can I say? It’s a lot of fun to experiment with adding layers of flavor via various liqueurs, espresso powder, or even a dash of an extract. Combine egg whites and cream of tartar in a large mixing bowl. With whisk attachment, whip until eggs reach soft peaks. Add ¾ c sugar and continue to whip until stiff. Set aside. If you only have one mixing bowl for your stand mixer, transfer whites to a separate bowl and set aside. Combine yolks and salt, beat until yolks are lemon-yellow in color and fall back on themselves in a ribbon. Add ¼ c sugar and espresso powder, beat to combine. Add lemon juice, Grand Marnier, vanilla, 1/3 c whipping cream, and cooled chocolate. Mix to combine (mixture will be thick). In a separate bowl, beat 1 1/3 c whipping cream until stiff. Add 1/3 of the egg whites to the chocolate mixture. Stir vigorously with a spatula until combined. Add half of the remaining whites and fold gently until combined. Add the remaining whites and continue to fold. Add the whipped cream in three batches, fold to combine. *If using raw eggs makes you nervous, you can certainly use pasteurized eggs. Those look so beautiful and elegant! I’m from France and can attest that chocolate mousse was one of the desserts we enjoyed the most often! I made these two weekends in a row! The first weekend was a trial run. I also used raspberry liquor because it was in my pantry and the two liquor stores I stopped at did not carry small bottles of Grand Mariner. The second weekend my husband and I threw a couple’s shower. I found some small, old dessert-wine glasses at a Hospice resale store since I needed 12 small serving containers. For this batch I used Grand Mariner. Both times the chocolate mousse turned out fabulous! I received many compliments. I can’t really say if one was better than the other (the raspberry or orange liquor). This recipe is now one of my favorites! This is one of my favorite recipes, too, though I don’t get to make it much because it makes so many servings. I will definitely let my mom know that you liked the recipe!